It's been an interesting past week. 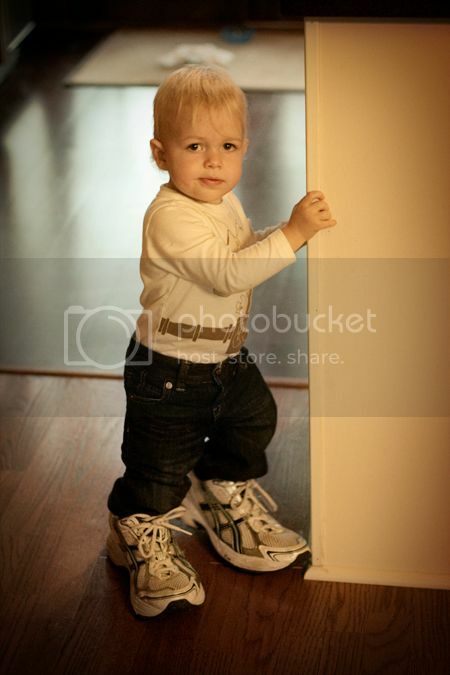 Finley learned how to put on his shoes! Well, they aren't actually his and they aren't on the right feet, but he did put them on and waddle around the kitchen. Too sweet. Finley also learned how to throw a tantrum! Apparently, the dust pan is the best toy we have around these parts and when I took it away, with it went his will to live. Luckily, his even tempered pal Margaret was here to learn the finer points of a tanrtum. I tried to hold Margaret - that would have been a kinder thing to do than stand around and take pictures. But she wouldn't let me. 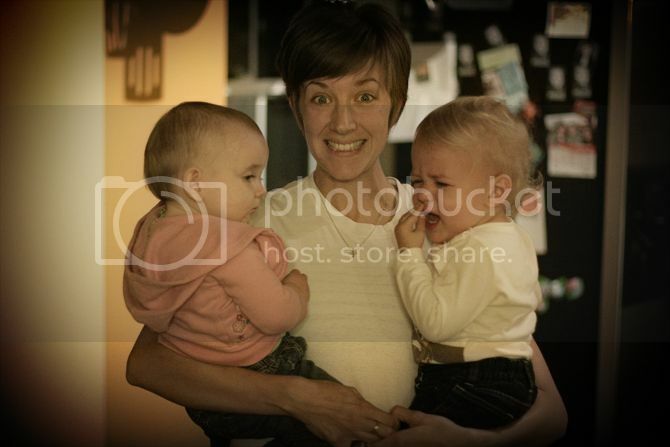 We decided Rachel holding two babies was better than two screaming babies. Sigh. I think you are MORE awesome in real life. Blogs are only 2-dimensional, sometimes 3 with video (well, 2 1/2) and in real life you have 5 dimensions, at least! He's getting ready Mom to make that first run!